PackRobot is an innovative self-service parcel terminal, provided by Smart Mile’s technology partner Cleveron. PackRobot will be part of Smart Mile‘s shared Urban Delivery platform in Nagold, Germany, launched from its German subsidiary citydibs Deutschland GmbH. The Smart Mile platform puts consumers in control over receiving their online purchases, reduces inner city traffic and carbon emission and stimulates the local economy. After starting in Nagold Smart Mile Solutions will expand into other cities in Germany and across Europe. Smart Mile Solutions is Netherlands based venture providing a shared and sustainable online delivery platform to cities in Europe and beyond. 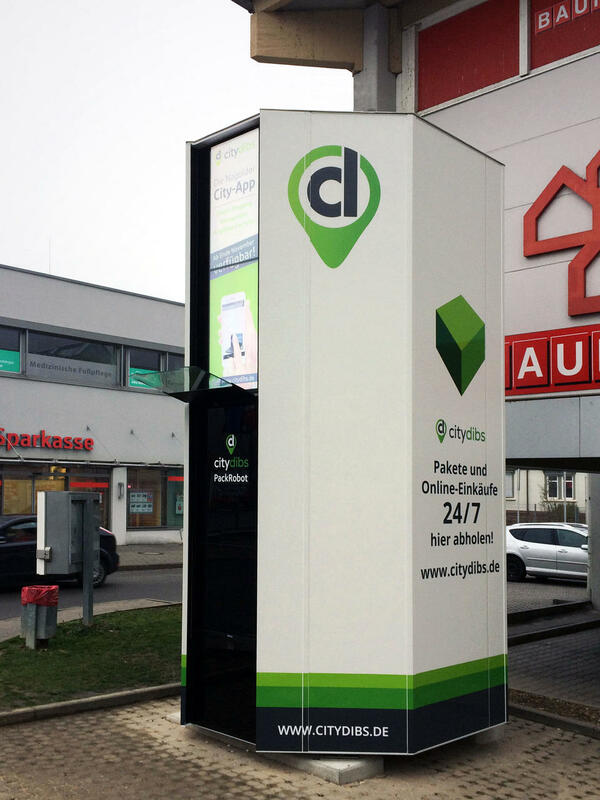 In Germany Smart Mile Solutions operates through its subsidiary citydibs Deutschland GmbH.